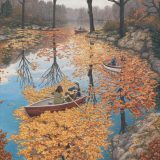 Canadian artist Rob Gonsalves paints surreal scenes that inject a sense of magic into realistic scenes. 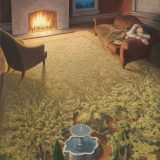 As a result, his work can be accurately described as “Magic Realism”. Not surprisingly, he has been recognized as the most famous living surrealist painter in North America. In his painting titled “Still Waters” below, a woman appears to be laying down a series of mirrored tiles in the foreground. 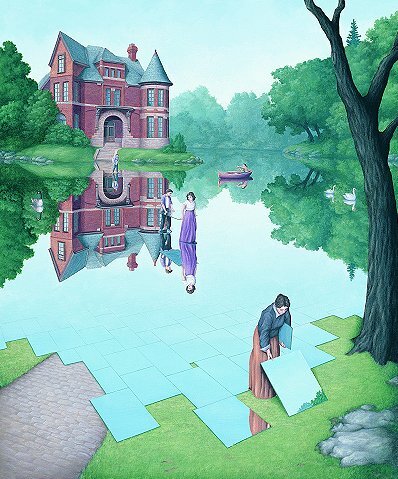 As you work your way into the background of this painting, however, the mirrored tiles transform into a body of water with a glass-like surface. 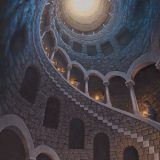 To order prints of Rob Gonsalves’ work, please visit Huckleberry Fine Art.